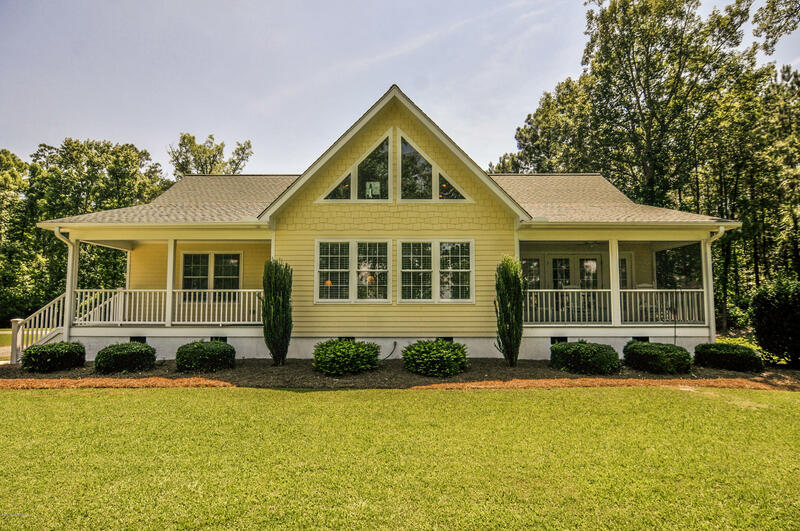 Delightful 2 story contemporary home with unobstructed views across the Neuse River. This 3 bedroom 2 bathroom property features an open floor plan with a spacious kitchen, hobby room and office. Includes a two car garage, large workshop and plenty of storage. Many updates and mature landscaping. Wake up with spectacular sunrises and enjoy the quiet serenity of friendly waterfront neighborhood. Description: Delightful 2 story contemporary home with unobstructed views across the Neuse River. This 3 bedroom 2 bathroom property features an open floor plan with a spacious kitchen, hobby room and office. Includes a two car garage, large workshop and plenty of storage. Many updates and mature landscaping. Wake up with spectacular sunrises and enjoy the quiet serenity of friendly waterfront neighborhood. Well-Maintained home located in desirable Tranters Creek. Light paint throughout home. Jenn-Air Stove w/accessories makes you feel like a chef! Nice shade trees and large screened porch makes for shady summer days. Ideal for a growing family. Description: Well-Maintained home located in desirable Tranters Creek. Light paint throughout home. Jenn-Air Stove w/accessories makes you feel like a chef! Nice shade trees and large screened porch makes for shady summer days. Ideal for a growing family. 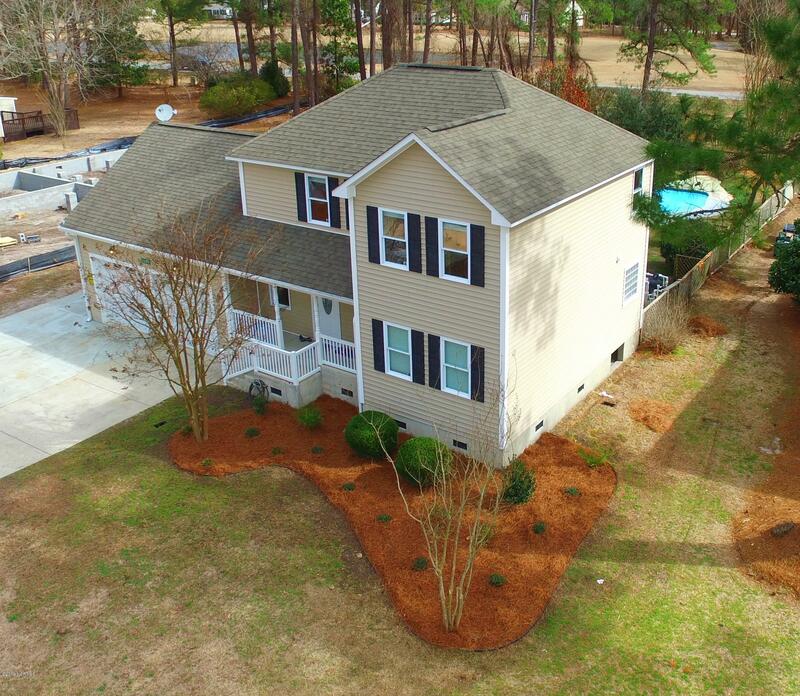 Looking for a home with beautiful views of The Albemarle Sound and an awesome yard? Here it is! This home sits on an acre of land with a nice shop and also a building once served as a Fruit Stand! The home has a covered carport and screened back porch for entertaining or morning coffee! New HVAC in 2013 and home also includes a Generac backup generator. 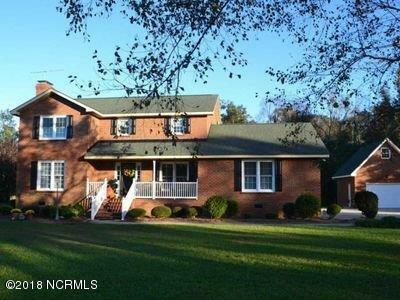 Description: Looking for a home with beautiful views of The Albemarle Sound and an awesome yard? Here it is! This home sits on an acre of land with a nice shop and also a building once served as a Fruit Stand! 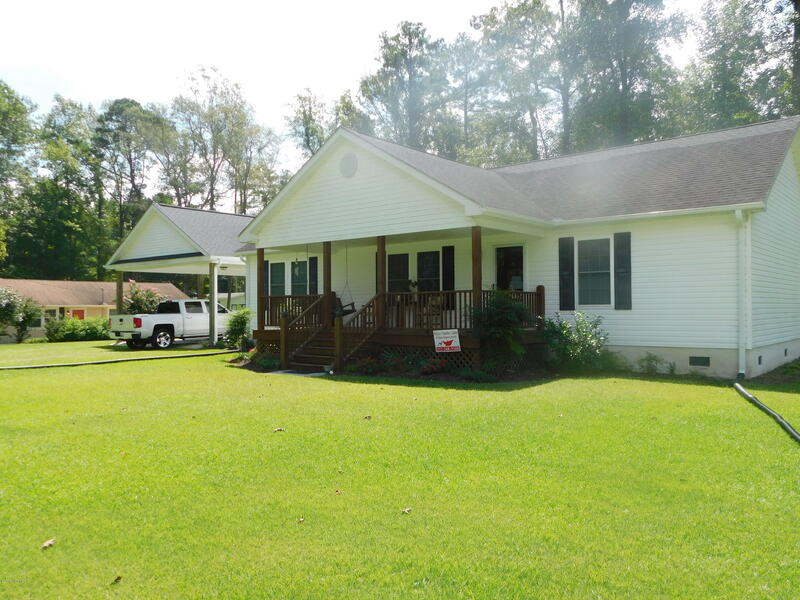 The home has a covered carport and screened back porch for entertaining or morning coffee! New HVAC in 2013 and home also includes a Generac backup generator. Description: Beautiful Waterview Home with high elevation. Home is situated on 3 lots. Split Floor plan layout, big open kitchen and living room. 3 Bedrooms, 2 Baths, attached carport, detached garage/workshop. 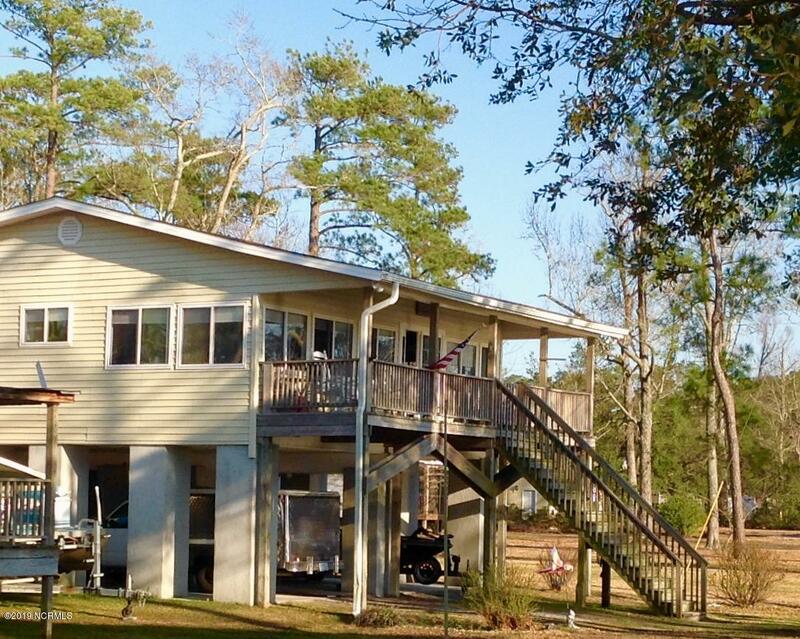 Home has a large front porch with a beautiful view of the Pamlico River. Perfect getaway or primary residence. Community Sandy Beach and Boat Ramp. 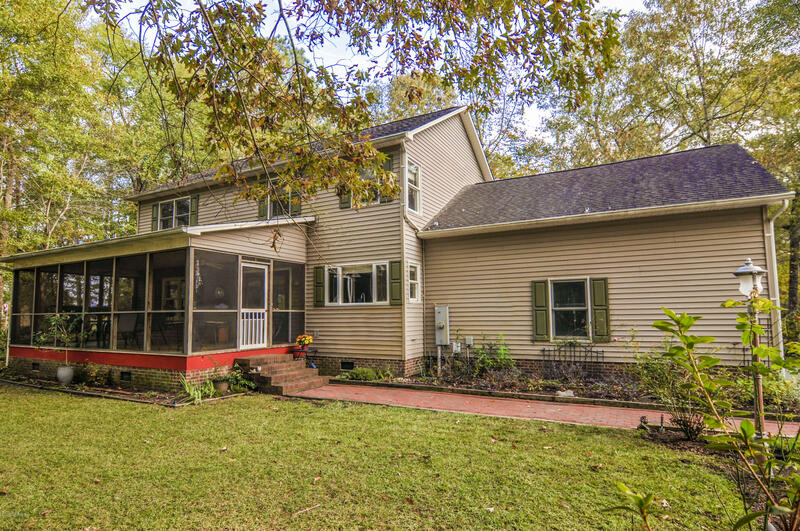 Join the wonderful Roanoke Shores Community situated on the Roanoke River by purchasing this Beautiful 3 BR, 2.5 Bath family home on a large lot in a cul-de-sac. This home features Living Room with fireplace; Lg Kitchen w/granite counter tops & quality cabinetry & appliances; Sunroom adjacent to pool area w/deck; 2 car garage plus a 1 car detached garage/workshop. Description: Join the wonderful Roanoke Shores Community situated on the Roanoke River by purchasing this Beautiful 3 BR, 2.5 Bath family home on a large lot in a cul-de-sac. This home features Living Room with fireplace; Lg Kitchen w/granite counter tops & quality cabinetry & appliances; Sunroom adjacent to pool area w/deck; 2 car garage plus a 1 car detached garage/workshop. Contemporary, open-concept home with access right across the street to Community Dock/Boat Ramp & the serene waters of Tranters Creek! NO FLOOD INSURANCE REQUIRED & NO City Taxes! Perfect for boaters, kayakers & paddle boarders! 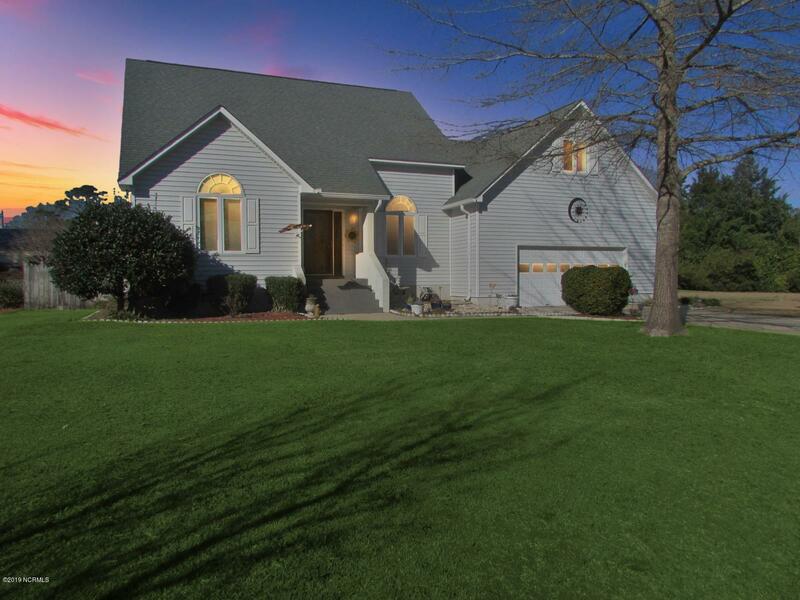 Located just minutes from town in the secluded neighborhood of Arbor Bluffs. You will enjoy outdoor living from the large screened porch. Description: Contemporary, open-concept home with access right across the street to Community Dock/Boat Ramp & the serene waters of Tranters Creek! NO FLOOD INSURANCE REQUIRED & NO City Taxes! Perfect for boaters, kayakers & paddle boarders! Located just minutes from town in the secluded neighborhood of Arbor Bluffs. You will enjoy outdoor living from the large screened porch. Gorgeous, updated home with great water views! Step into the main living areas of this home and you'll be instantly impressed. 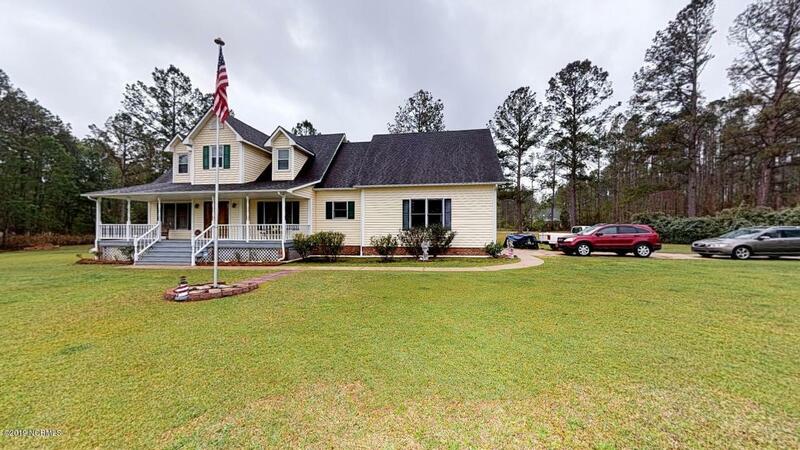 Beautiful updated kitchen that is open to the large, vaulted family area with large views of the Pungo River. Description: Gorgeous, updated home with great water views! Step into the main living areas of this home and you'll be instantly impressed. Beautiful updated kitchen that is open to the large, vaulted family area with large views of the Pungo River. Description: Beautiful home in Lake Clermont. Master Bedroom downstairs plus 2 bedrooms upstairs and Bonus Room. Skylights in the den. Private back yard. Great for entertaining by the pool. Home in A-1 condition. 5 minutes to downtown New Bern. 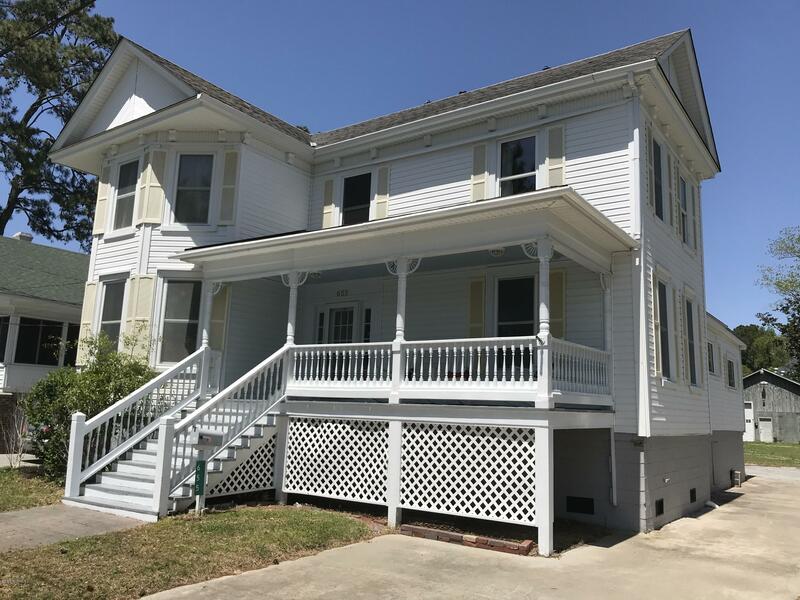 Description: Spacious 2 story home w/ front & back porches. 16 x 10 shed and 30 x 30 2 story workshop/garage on concrete slab 8 x 10 doors and 12ft door. Waterview lot just minutes to downtown shops, restaurants and medical facilities. 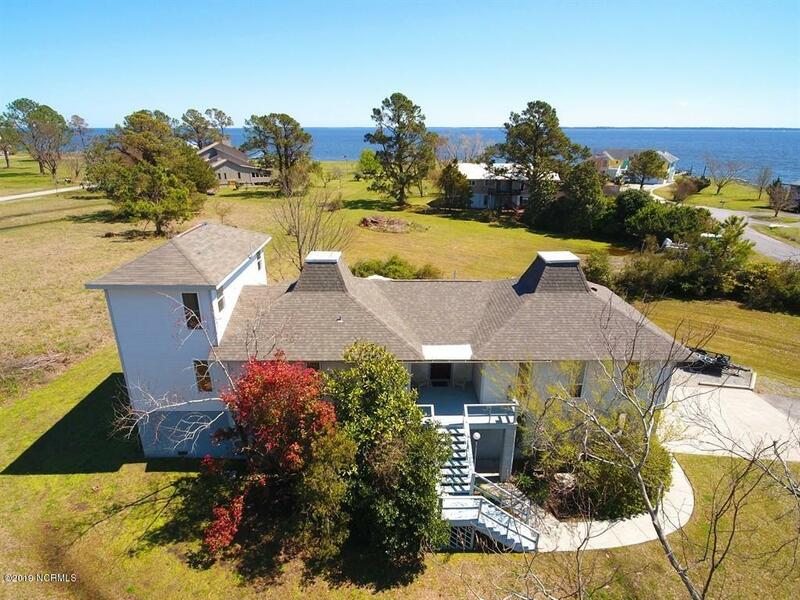 Just a few steps from the Neuse River, this Kennel's Beach home has spectacular views. Enjoy life in an old-fashioned and cozy beach community while sitting in your sunny living room atop your well-constructed concrete piers. Or spend time on your large front porch while waiving to neighbors walking by. Description: Just a few steps from the Neuse River, this Kennel's Beach home has spectacular views. Enjoy life in an old-fashioned and cozy beach community while sitting in your sunny living room atop your well-constructed concrete piers. Or spend time on your large front porch while waiving to neighbors walking by. Come enjoy the waterfront and golf course community of Fairfield Harbour! This home has wonderful upgrades and a first floor master nestled away in this gated community! Step into the open living room with ample natural lighting. Whisk up meal time favorites in the large kitchen with stainless steel appliances, vaulted ceilings, TONS of storage space, center island, and dining space. Description: Come enjoy the waterfront and golf course community of Fairfield Harbour! This home has wonderful upgrades and a first floor master nestled away in this gated community! Step into the open living room with ample natural lighting. Whisk up meal time favorites in the large kitchen with stainless steel appliances, vaulted ceilings, TONS of storage space, center island, and dining space.